In 1967, the dynamic and determined Marjorie Guthrie launched an all-out assault on the disease that would soon claim her husband, music legend Woody Guthrie, and threatened their three children. Her extraordinary efforts turned her into a global voice in the fight against Huntington’s disease. Woody Guthrie was an American singer-songwriter and folk musician whose musical legacy includes hundreds of political, traditional and children’s songs, ballads and improvised works. He frequently performed with the slogan “This Machine Kills Fascists” displayed on his guitar and his best-known song is the iconic “This Land Is Your Land”. Songwriters as Bob Dylan, Phil Ochs, Bruce Springsteen, Robert Hunter, Harry Chapin, John Mellencamp, Pete Seeger, Andy Irvine, Joe Strummer, Billy Bragg, Jerry Garcia, Jay Farrar, Bob Weir, Jeff Tweedy, Bob Childers, Tom Paxton and many more have acknowledged Guthrie as a major influence. Folk musician Arlo Guthrie is one of Woody’s eight children. “This Land Is Your Land” written & performed by Woody Guthrie. At left, Marjorie performs with the Martha Graham Dance Company. At right, Marjorie and daughter, Nora during a dance class. For twenty years, Marjorie danced with the New York-based Martha Graham Dance Company. She also taught at the neighborhood Playhouse School of the Theater, the Jewish Community Center of Essex County and the New Dance Group. In 1952, she started her own dance school, the Marjorie Mazia School of Dance. Marjorie first met Woody Guthrie in 1942 and they were married the following year. Marjorie and Woody had four children, Cathy, Arlo, Joady and Nora. Cathy tragically died at age four in a fire. By the late 1940s, Guthrie’s health was declining. He received various misdiagnoses, but in 1952, it was finally determined that he was suffering from Huntington’s disease. During the more than 15 years that the disease affected him, Marjorie stood by his side as she supervised Woody’s hospital care and continued to seek the best medical assistance for him. She had even taught him to communicate by blinking his eyes after he had lost control of his other muscles. Marjorie comforts her husband Woody as son Arlo looks on. Marjorie placed a small ad in a New York City newspaper and slowly gathered a determined handful of volunteers and HD families from across the United States.From that first moment, when Marjorie Guthrie reached out to other HD families, a worldwide movement began that would change the lives of those living with HD and bring hope to families.She and five other volunteers succeeded in forming the Committee to Combat Huntington’ s Disease(CCHD), which was incorporated in the state of New York on September 18, 1967, as a nonprofit voluntary health agency. Only a couple weeks later, on October 3, 1967, Woody Guthrie died from HD complications when he was just 55 years old. Before he died, Marjorie promised him that she would devote her life to finding answers. And for the rest of her life, from age 50 to age 65, she fulfilled that promise, never realizing the affects her life, her work and her impact would have on so many people worldwide. Marjorie with Rep. Henry Waxman of California. She served on both federal and state government panels, including the National Advisory Council of the National Institute of General Medical Science, New York Governor Hugh Carey’s Select Committee on Long Term Care, the State of New York Commission on Health Education and Illness Prevention, the executive committee of the New York State Genetic Diseases Program and the Board of Visitors of Helen Hayes Hospital. She chaired the United States Commission for the Control of Huntington’s Disease and its Consequences in 1976-77, out of which grew a federal research grant of over $5 million to establish two “Centers Without Walls”. Majorie addressing the 1980 CCHD Board. Marjorie was one of the founders of the National Committee for Research in Neurological and Communicative Disorders (NCR), a coalition of health agencies and leading scientists whose primary purpose is to influence legislators to increase funding for the National Institute for Neurological and Communicative Disorders and Stroke. Her eloquent and always influential testimony supported various health concerns for the NCR. She served on the executive committee and chaired the Public and Governmental Information Committee. She acted as consultant to numerous national and international voluntary health agencies. A grant from the Robert Wood Johnson Foundation sent Marjorie to 12 cities in eth United States bringing voluntary health care agencies together to explore common concerns. Many of these groups have formed cooperative networks as result of these inspirational meetings. Her support and personal guidance were a valuable gift to Huntington’s disease organizations in Australia, Belgium, Britain, Canada, France, Italy Mexico, the Netherlands, New Zealand, South Africa, Spain and West Germany. Marjorie assisted in the publication of two National Institute of Neurological and Communicative Diseases and Stroke publications, Huntington’s Disease: Hope Through Research and The Centennial Symposium on Huntington’s Chorea: Publication of Proceedings. She wrote a monograph, “A Personal View of Genetic Counseling” and several forewords to books about Huntington’s disease. She provided valuable input in numerous Woody Guthrie projects, including the film, Bound For Glory, and the books, Woody Guthrie Song Book and Woody Guthrie: A Life by Joe Klein. Marjorie being congratulated by President Jimmy Carter. Marjorie was in the limelight of hundreds of medical conferences, media interviews and seminars. Her most famous lecture, “The Team Approach to Huntington’s Disease” was videotaped for educational purposes throughout the United States. Dynamic and compelling, Marjorie Guthrie convinced then President Jimmy Carter to form a Presidential Commission to study neurological diseases, including HD. The recommendations that resulted from that 1977 report have served as the cornerstone of HDSA’s commitment to the care and cure of HD. Marjorie Guthrie died just a few months before the marker was found in 1983. But in the 16 years that she worked to bring this disease out of the family closet, she brought empathy and hope — a hope for a future free of HD — to those affected by this devastating disease. There must be a strong, well supported National organization to assure the widest possible distribution of all our educational materials to the HD families, doctors, neurologists…to the whole scientific community and health professionals everywhere. We must continue our search for HD families everywhere. We must give active support to conferences dealing specifically with HD as well as related disciplines and disorders. We must support and develop chapters in their local efforts and TOGETHER with National create the necessary financial resources to do the work that must be done. We must begin a program, albeit limited at this time…to serve affected families wherever they may be….sometimes within the area of a chapter and when necessary beyond the capability of a chapter. We must do everything possible to improve and expand our communications with our chapters…the public at large…..affected and non-affected families. We must cooperate with existing health agencies and the federal, state and city government to improve the status of HEALTH and HEALTH PROGRAMS as a national priority. All of these efforts must be done within the financial capability and responsibility of our membership. Finally we must recognize that RESEARCH means many things. 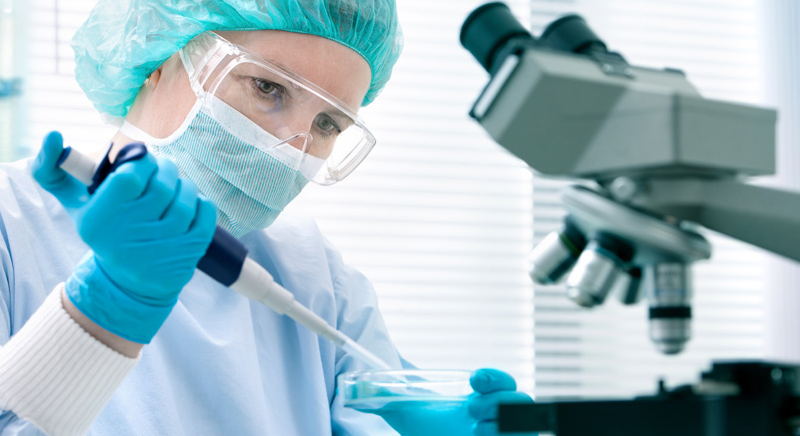 Any research in the areas of genetics and brain and central nervous system…however identified…may contribute ultimately towards a cure, control and early detection of HD. In 1983, HDSA Coalition for the Cure investigator, Dr. James Gusella, found the very first marker for the disease and, after a ten year search that involved collaboration among the top HD researchers worldwide, the gene was located on the short arm of chromosome 4. 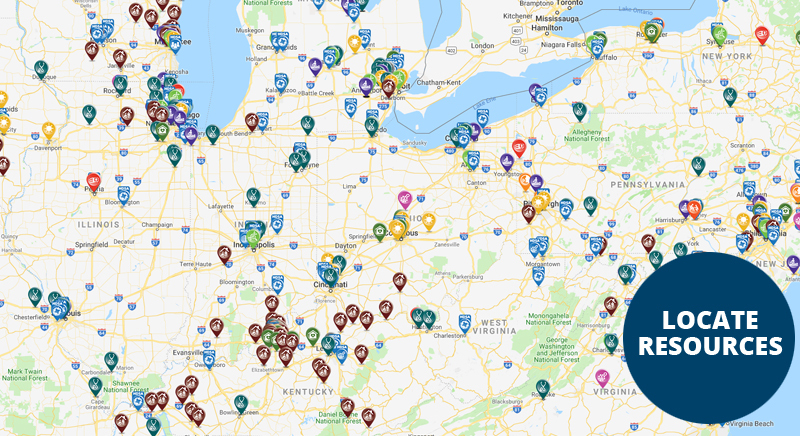 In the area of care, HDSA has created a national network of resources and referrals that are unmatched by any other HD organization. HDSA Centers of Excellence provide medical and social services to those affected by HD and their families while a toll free helpline — 1-800-345-HDSA — and this web site help to provide access to services. 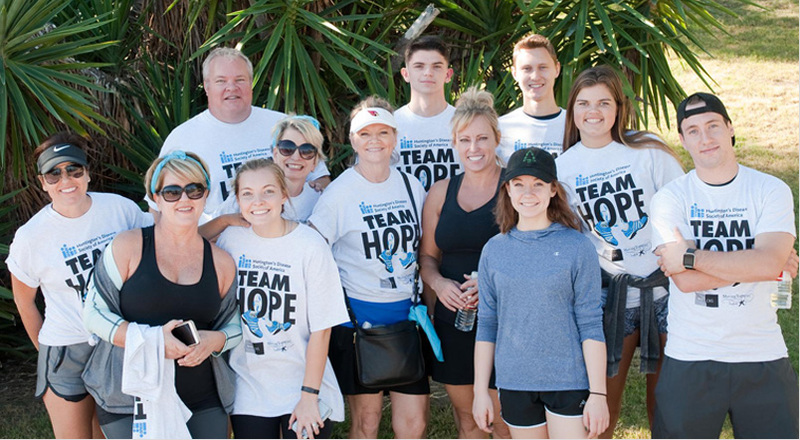 HDSA chapters, affiliates, regions, social workers, and support groups work in tandem with the Centers of Excellence to increase awareness about HD and raise funds for research, education and family services. Along her life’s path, Marjorie touched many and left a loving following. None will forget her strength and inspiration. “Love and Peace” became her trademark, as she ended all her letters and notes to people, from friends and acquaintances to international figures, with the reminder. The Huntington’s Disease Society of America is dedicated to completing the work that this courageous woman started. “She Came Along to Me”, Woody Guthrie’s love song to Marjorie performed by Billy Bragg and Wilco.